Rather than pointing fingers or assigning blame, let's use this occasion to expand our moral imaginations, to listen to each other more carefully, to sharpen our instincts for empathy, and remind ourselves of all the ways that our hopes and dreams are bound together. And I remember thinking, "That doesn't sound like a whole lot of fun. Wouldn't it be easier to just point fingers and name call?" Because the thing is, when it comes to judging other people, not only do I really enjoy it -- I happen to be awfully good at it. My sister and I had a game we used to play at weddings. The game was called, "Who's Luckier?" Basically the way it worked was this: we would assess the bride and groom and then try to make a determination as to who was getting a better deal out of the union. A balding paunchy groom with money weds a struggling beautiful actress without two dimes to rub together? A decent looking groom with an annoying voice who chooses a woman whose parents have an awesome vacation home upstate? If there were a significant enough number of complicating factors these discussions could truly go on for hours. But as is true with all truly delightful pastimes, I learned quickly that the game of "Who's Luckier?" had a fairly significant downside. This was because I found myself playing the game in relation to my own potential spouses. I'd start dating a guy and I'd quickly begin to obsess on which one of us our wedding guests would think was luckier. If I dated someone handsome, I would worry that upon our marriage, our guests would sit there staring at us with derision and muttering to themselves, "She's MUCH luckier." If I dated someone broke I would imagine them all shaking their heads and whispering back and forth, "I guess he's luckier." As it turns out, this sort of thinking was not particularly conducive to finding a good life mate. 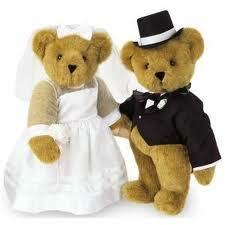 Eventually, I did get married. And I was luckier. But even more amazingly, it appeared that my husband believed himself to be the lucky one. The whole experience made me realize that when it comes to something as complicated as two people choosing whom to partner with for life, there are such a variety of factors that go into the decision that it simply isn't possible for two spectators sitting in white rented chairs to properly adjudicate which member of said couple is, in fact, luckier. And so, it was that the game came to an end. Now, several years later, I find myself remembering this lesson when it comes to dealing with my fellow moms. I think of all the times when I have sat back watching another mom struggle with her child and allowed myself a delicious moment of smug superiority. But I've been at this long enough to know that it won't be long after such an indulgence that I find myself dragging a screaming, sand-throwing toddler from the playground, my back bent under the withering stares of the gathered mommies. So I am making an attempt at being more generous of spirit. I'm trying to remember that when I see a mom struggling with her kiddos that I may have just missed another moment where she was performing at the top of her game. I'm working to offer my fellow moms a supportive smile or encouraging word in lieu of my preferred righteous glare of indignation when I come upon one of them having a hard time. 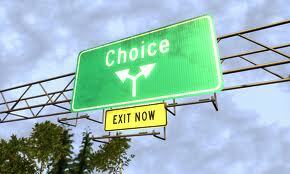 And although there are days that this is really, really hard - it remains the undeniable better choice. Speaking to my father (a former prosecutor) yesterday I brought up the jury in the Casey Anthony case. "How could they be so moronic?" I cried. "What is wrong with those people?" I demanded. 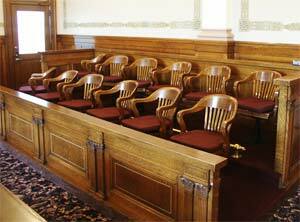 "Nothing is easier than finding someone guilty when you're not the one in the jury box." And I think he may be right.